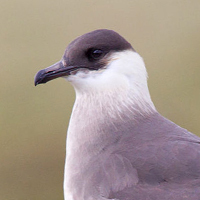 The skuas are a group of seabirds with about seven species forming the family Stercorariidae and the genus Stercorarius. 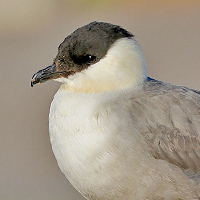 The three smaller skuas are called jaegers in American English. The word "jaeger" is derived from the German word Jäger, meaning "hunter". 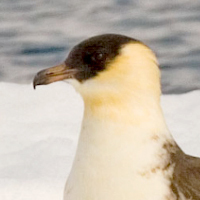 The genus name Stercorarius is Latin and means "of dung"; the food disgorged by other birds when pursued by skuas was once thought to be excrement. All 3 species of Jaeger occur in Utah.